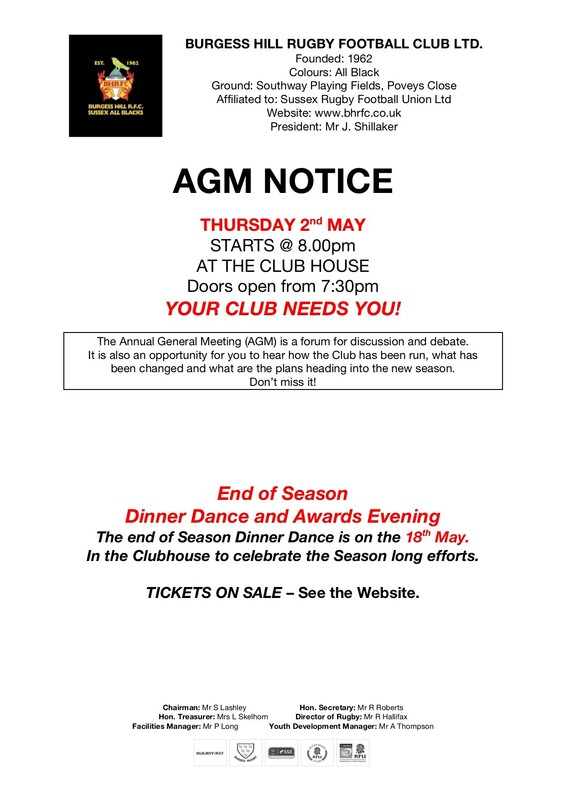 Remember that Thursday 2nd May we are holding our AGM at the club. This is your chance to review how the club has performed over the past year, to see what goals we are setting for the next season, and most importantly an opportunity for you to have your say, promote ideas, to get involved and see what you can do to help our amazing club run. Please come and show your support. Doors open at 7.30pm for an 8pm start, all club members welcome.